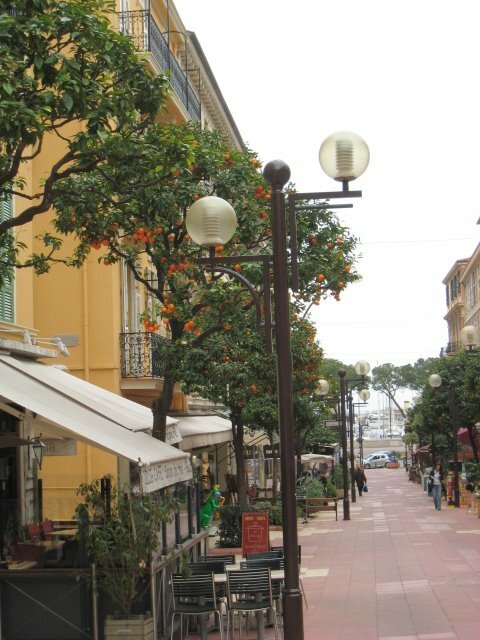 This is Monaco's walking street - rue Princesse Caroline. It's lined with cafés and shops. There's even an English bookshop called Scruples. So take a stroll, stop for an espresso and a croissant, and then keep walking till you get to the port where you can sit and watch the yachts bob about at anchor. You could even pick an orange if you are tall enough! The only thing I can't provide is sunshine - this was taken on a grey day.